You may want to start by following your colleagues and people recommended by them. If you check a website often, like TED Talks, follow their tweets. This way, you will be alerted whenever there is new content on that site. It is easy to "unfollow" people if you don't like what they share. Like you, I don't have much time in the day to read articles (or watch videos) that have been tweeted. This is why I have signed up to ReadItLater.com. 1) Click on "All Browsers"
You're set. 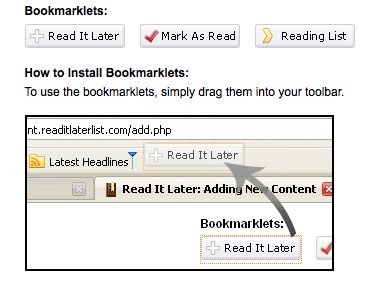 Whenever you visit a webpage you want to read later, simply click on the Read It Later button. This will save the page to your reading list. Each morning, I allow myself 10-15 minutes to check Twitter. If a link looks interesting, I click on it and then click "Read It Later". When I have time, I go to ReadItLater.com and view my saved articles. This way, I can read an article when I take a 5-minute break or when I am sitting in a caffe on the weekend. Articles marked as read disappear from your list but can be retrieved at a later date. If you own an Apple mobile device or one that runs Android (Eg: Samsung Galaxy or HTC Desire) you can get the ReadItLater App. 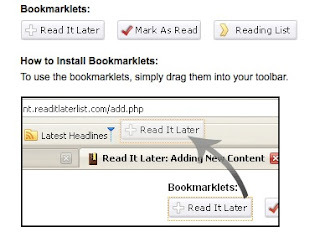 This allows you to catch up on your reading anytime you're not in front of a computer. If you see me with my iPad in a caffe, I am probably going through my reading list. Feel free to approach me all the same. I won't mind the interruption! Both Twitter and ReadItLater have many features beyond the basics. Don't let this fact hold you back. Get started and you will pick up what you need as you use them. You can reap much benefit from making use of the basic functionality described in this article. I hope this post has been of some use. If you're an experienced user of either tool, please share your tips in the comments. If you're new to them, please share your experience so far. I highly recommend using Flipboard on iPad to browse your PLN stream. It's a very effective way to turn a twitter feed of PLN content into a magazine like experience. Zite on iPad also works along similar lines. Instapaper also allows you to share cached articles with selected recipients, which is also extremely handy, or even email the entire text of a cached article. On the iPhone, I use a combination of Twitter.app and Instapaper. Shannon Smith is part of the worldwide Connected Principals network (@conprin on twitter and uses the hashtag #cpchat). Thanks for the tips, Ian. I also love Instapaper. The advantage I find in ReadItLater is that it supports both iOS and Android devices. It also allows sharing on a number of forums. 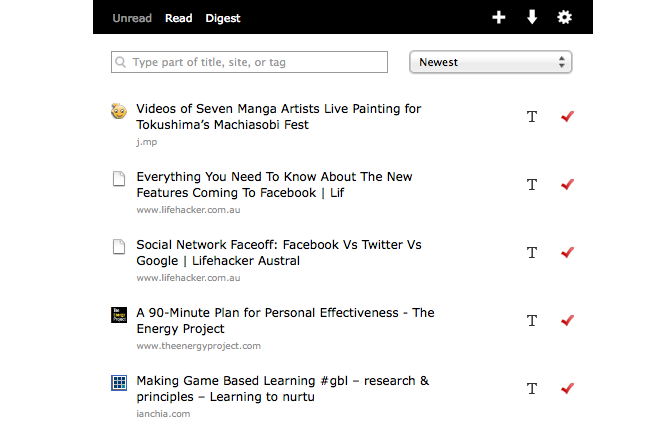 I understand that Zite integrates well with ReadItLater but the latter has a magazine-like interface in beta. I currently use that when reading on my laptop. I will be sure to read the article you have shared in your second comment. Thanks again.